NYSE | The PoulTrend Daily! HCA Holdings to Pay out 178 Million! New York – On Monday Yesterday January 23th a Jury awarded a surgery patient $10 Million in punitive damages in a suit against HCA Holdings. This as a result of a 2007 gastric bypass surgery of which complications arose, resulting in Clay Chandler to go into a coma. Late Friday, January 20th, the Jacksonville Federal Court found Memorial Hospital Liable for $168 Million in Damages. HCA Holdings Inc (NYSE:HCA) – is a non-governmental hospital operator in the United States and an integrated provider of health careand related services. HCA provides services through a network of acute care hospitals, outpatient facilities, clinics and other patient care delivery settings. As of September 30, 2010, it operated a diversified portfolio of 162 hospitals (with approximately 41,000 beds) and 104 freestanding surgery centers across 20 states throughout the United States and in England. Currently I have HCA Rated a Hold with a Target Price at $25.75-26.50 Range. Biggest worry for this company is the greater than expected Medicare, and Medicaid reimbursement cuts, also an increase in uninsured admissions (charity care resulting in higher uncompensated care) Also have worries from this their could be large swings in stock price. Currently I hold no position in HCA Holdings (NYSE:HCA), and have no plans to within the next 3 trading days. HollyFrontier Corp Public, NYSE: HFC – formerly known as Holly Corporation, is an independent petroleum refiner that produces light products, such as gasoline, diesel fuel, jet fuel, specialty lubricant products, and specialty and modified asphalt. Operates on two segments: Refining and Holly Energy Partners, L.P. (HEP). December 31, 2010,owned and operated three refineries consisting of a petroleum refinery in Artesia, New Mexico. This refinery of which operates in conjunction with vacuum, and crude oil distillation, and other facilities 65 miles away in Lovington, New Mexico (the Navajo Refinery, and a refinery in Woods Cross Utah/Tulsa Refinery.Owns and operates Holly Asphalt Company, and owns 75% interest in a 12-inch pipeline project from Salt Lake City Utah to Las Vegas Nevada. In July 2011 had a Merger with Frontier Oil Company. Over the Past 52 week period HollyFrontier has traded between 15.69 – 38.90. During this span it also has announced a Dividend, and had a 2:1 Split. Currently the Dividend is 0.09/1.10 which in time I expect to grow, and possible at Rapid Rates over the coming years ahead. Their may also be the possibility of a Bigger Company coming in, and making an offer on buying them out. Since this Post on October 25th their was an announcement that Brigham Exploration Company, was going to buy out all the outstanding shares of Brigham for $36.50. Not only do I believe we will still need oil, and oil refiners, for at least 10 possible 20 years. I tend to like Oil Refiners because of overall demand in supply of which has continues to grow each, and every year, and with the USA still number one in oil consumption from Cia.gov numbers. With the USA Dollar of which dropped some bit this year this may result in more demand from other countries which would essentially grow profits. Not to mention refiners do better when oil is down and Gas Climbs which for the better part of this past year Oil, has been quiet low. As of late oil however has made a climb back, and gas has dropped but Overall Long Term, I expect them both to climb. As I overlook the Balance Sheet there was a few things of which sparked my attention. One being Yes, that HollyFrontier has a solid Dividend, and has already had a 2:1 Split,Its P/E is 9.94 which I feel is quiet low. My only concern is their accounts payable is equal to about 2/3 rds of their liquid assets, especially since a very serious chunk of those assets are accounts receivable. With the Economy as of late their could be a lot of debtors unable to pay at some point in time, or for long periods of time, even some not paying at all. This would then result in difficult paying their creditors. 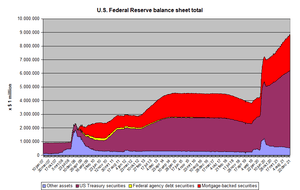 If this scenario was to occur they could possible drop long term assets. Over the coming months and years ahead I think there is great growth possible. Revenue Q1 of 2,326.59, Q2 of 2,967.13 – Revenue has climbed each year since 2006 with one slight off year in 2009, which revenue was still over 50%. Numbers from 2010 Total Financials Down, are all in Millions. Today (HFC) is trading around $31.50 around $7.50 off of its 52 week highs, and down $0.62 from yesterdays open.With a dividend of 0.09/yield of 1.11, EPS of 3.20, and AVG Volume around 4.10 Million which for today has only moved 700,000, and for less than 3 hours of trading left, its obvious many are sellers are offsetting the buyers, and that Volume on the day may not even meet Half the Avg. My theory being many are holding out the storm, waiting for Q3 earnings. Chimera Investment Corporation (CIM) – Is not a buy, especially for the ones looking to make a quick buck, unless you are a long term investor stay clear of this stock!!!! As analysis continue to come out, and say that CIM is a buy because of its Yield, and High Dividend. With the Federal Reserve announcing it will continue to push for Long Term Interest rates lower this will crush Chimera. In the past 52 weeks CIM has traded as high as $4.36, and as low as $2.62. Not only has CIM lowered its Dividend during this year Span. The Stock is Trading at $2.61 under its 52 week LOW, and is at its Lowest hitting a Low that has not been Seen since March 20th, 2009! I Would not be Surprised if this Stock Tumbles Down under $2.00. If it Drops under $2.00 and Under, This would Than be a Stock I would look into Buying as a LONG TERM Investment. Other than that SELL SELL SELL. These Stocks should be on your watch lists come Monday! An initial PoulTrend Alrert was called on Lululemon Athletica inc. (LULU) Announced 8/26/2011 at $46.50. Currently this morning (LULU) is +0.35 in the Pre-Market at $58.72. With (LULU) 52 week high at $64.49 look for (LULU) to try an eclipsed this in the coming days ahead. Disclosure – Currently I do not hold a position in LULU, nor plain to hold one within the next 72 hours. Tags: Bank of America, Blackstone Group, Business, Buy, BX, Hedge fund, Investing, Merrill Lynch, NYSE, Private Equity, Real Estate, The Blackstone Group L.P. The Blackstone Group L.P. (BX) – manager of private capital and a provider of financial advisory services. Blackstone of which is a independent manager of private capital with assets under management of upwards of $128 billion this being as of December 21st,2010. The company assets of management include real estate funds, hedge funds, and private equity funds. They also deal with loan obligated vehicles. Currently Blackstone operates in 5 business segments of which include Real Estate, Hedge fund Solutions,Credit Businesses, Private Equity, and Financial Advisory. As of November 2010 they set an agreement to manage Bank of America Merrill Lynch‘s Asian Real Estate Assets. 1. With there 52 week high at $19.63, and the low at $9.89. At Under $14.00 you have a potential of good upside! Not to mention with a 0.10 dividend and yield of 2.90 its not to bad. 2. Blackstone stated to investors they have raised $4 Billion for the latest Real Estate fund, in only 4 Months of the Fundraiser. Not to mention they are well managed, and currently are in the works of buying 1 Billion of BAC Real Estate Investments, and if this goes threw their is much potential for deals to spur in the Global Real Estate Sector. 3. They keep on gaining great revenue from 1,703.32 12 months ending in 2009 to 3,119.34 12 months ending in 2010. They also capitalized on EPS from -2.51 in 09, to 3.21 in 2010 per diluted share. Now for the first 2Q’s of 2011 their revenue is already at 1,153.27 and 1,308.28 = 2,461.55 with there 2 best months for revenue in 2010 being Q3 and Q4 look for there ending Revenue to be close to 5,125.00 Plus which would be a 40% revenue jump year from 2010 to 2011. Another thing to note is EPS which already Q1 and Q2 have equaled out to be $2.00 per diluted share, I would not be surprised if they hit $4.00 per diluted share. Meaning a $0.80 per share increase year over year or 20% jump. Yes they do have some outstanding debt which may draw a negative however I think there Assets counter it. Currently I have Blackstone as a BUY rating, and HOLD HOLD, and PoulTrend Alert. Disclosure- Currently I do hold a long term position in The Blackstone Group and do not plan to make another position with them in the next 3 trading days. .
(ERX) Should be on your ETF Watch List! (ERX) Direxion Daily Energy Bull 3X Shares ETF – Fund which seeks daily investment results, before fees and expenses of 300% of price performance of the Russell 1000 Energy Index. This fund invests 80% of assets in securities that comprise this index. As of 8/5/2011 (ERX) hit a low of $46.80 and on 7/26/2011 ERX was trading at $86.97, Its 52 week high is $93.27. There is no question that (ERX) when it trades can have Great days of $5.00 gains, whoever can also have large losses as we can see has happened this week. There is no question about it that if you want to get into (ERX) a good time to get in could be now. The Upside potential is Phenomenal. Disclosure – At this time I currently do not have any position in (ERX) nor do I plan on having any in the next 3 trading days.